Wills Express is an online solicitor business based in Southend on Sea, offering Will drafting, preparation of Lasting Powers of Attorney, and advice upon Advanced Directives and applications for Grants of Probate. Alison Goodier tells us her start-up story. I craved the autonomy of being self-employed. My dream became a reality when I established Wills Express in October 2015. 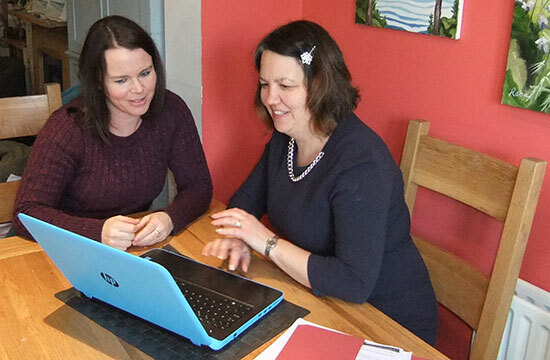 Having previously worked as a Solicitor in Essex, I obtained authorisation from the Solicitors Regulation Authority to establish my online solicitor business based in Southend on Sea. I contacted Nwes after researching support and finance available to start-up businesses online. I met with an adviser to discuss applying for a Start Up Loan. I already had a business plan and he helped me refine it with guidance on cash flow projections. He also helped me to formulate my plan into a coherent strategy. I received my Start Up Loan once the Solicitor’s Regulation Authority approved my application to practice, and I was offered a mentor. I also joined the Start &Grow programme which supports start-up businesses. I meet with an Nwes representative monthly to discuss how the business in progressing, and it is very helpful in setting action plans for the forthcoming month. This has been invaluable in steering the way forward for the business and building links and contacts in the business community. What makes Wills Express unique? Wills Express is unique because as an online solicitor, I do not have the same overheads as a traditional high street firm; therefore I am able to offer competitive rates for a professional service. What is your advice to others who are considering starting up their own business? I would recommend taking advice from an organisation such as Nwes, where people with experience can guide you through the process and make suggestions or challenges, which help move the business forward. It is crucial whilst the business is building to maintain momentum and be proactive.